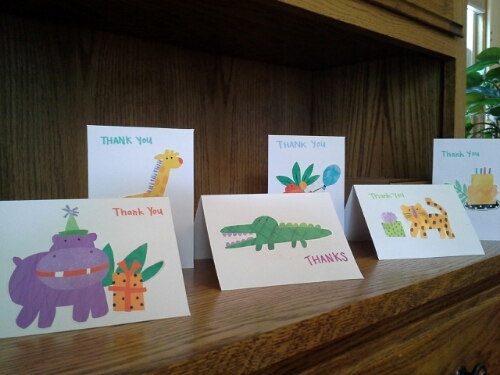 Here are the thank you cards I made with my kids. We used scraps of wrapping paper to cut out the cute animals. (The kids picked them out, and I did the detailed cutting) They helped glue them onto blank cards and told me which card should go to which relative. It was an easy and fun activity. This entry was posted in DIY Crafts, Kids by Cathy O. Bookmark the permalink.